From airbnb to TripAdvisor, we are seeing a rush of travel companies embrace Facebook to both find new customers and increase engagement with current customers. Companies are attempting to engage customers not only on their Facebook fan Page, where they are investing in the creation of rich and compelling content alongside providing customer service, but also through custom Facebook Apps. Some of these Apps allow users to purchase tickets and rooms right from Facebook, and when paired with the Open Graph API, can indicate where and when a user is going on a trip. One of the first companies with access to the Open Graph API, airbnb has made Facebook a pillar of their strategy and user experience. Users are encouraged to sign up for the apartment rental site through Facebook, which then pools all of their friends onto the site, showing where their friends have traveled, stayed, and reviewed. Additionally, the connection to Facebook serves as a way to check references for hosts and renters alike. airbnb’s App currently has over 210,000 active monthly users, and the company is working to continue to boost this number through campaigns which offer travel credit when users invite friends to join through Facebook. Kayak understands the need for online customer engagement. Kayak encourages users to create accounts on their site through Facebook, enabling users to easily share travel plans with their friends. Though their Facebook App is fairly simplistic (a mirror image of their actual website under the Facebook header), they have gained a lot of traction with over 100,000 monthly users. Kayak has done a fantastic job building out their Fan Page, keeping a consistent stylistic design, engaging fans, and showcasing previous ad campaigns and polls. TripAdvisor, has made a huge commitment to the Facebook platform. The company was one of the first companies to use the Open Graph API through their Cities I’ve Visited App. The hugely popular App (nearly 3,500,000 monthly users) allows users to pin where they’ve been and where they plan to go. The information is then pushed to their News Feeds through the Open Graph. In addition to “Cities I’ve Visited”, TripAdvisor has turned their entire TripAdvisor site into an App. Users can see where their friends have been and reviewed, in addition to a new feature which allows users to see the activities of friends of their friends. With 19,400,000 monthly users on the TripAdvisor site App, the company is the clear leader in online fan engagement in the travel sector. Orbitz has placed a renewed emphasis on social media marketing, and especially their customer interaction on Facebook. Seeking to increase their presence on Facebook, Orbitz has maintained a very active Facebook Fan Page and created the 50 Faves App. This App offers users the opportunity to receive one of 50 free “dream” vacations. Users of the App are encouraged to Like Orbitz, post about Orbitz promotions, and invite friends to the App. For every post or friend that sign ups, users get an additional bid for a vacation. The sweepstakes seems to be working, as the App has over 50,000 monthly users. Priceline has several relatively new, great Facebook campaigns that will drive engagement on both their Apps and fan Page. 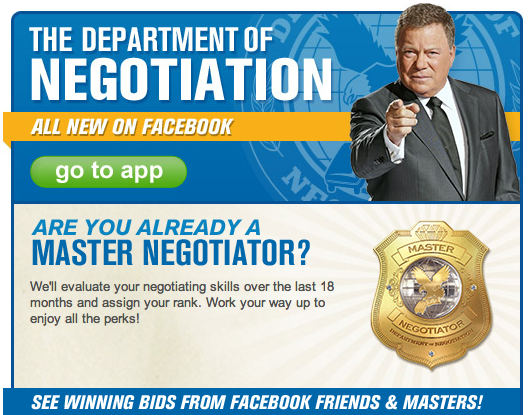 Turning to the company’s popular Negotiation feature, Priceline has developed the Department of Negotiation App, in which users are encouraged to post about the deals they’ve successfully negotiated. Given their large fan base of over 100,000 people and a knowledgeable and witty social media team, we fully expect the App to take off in the near future. Expedia has a huge presence on Facebook, capturing over 1 million fans. In addition to this number, significant markets like India, UK, and Australia each have their own pages with over 100,000 fans. Just recently, the company built an App called the Expedia Check-In. 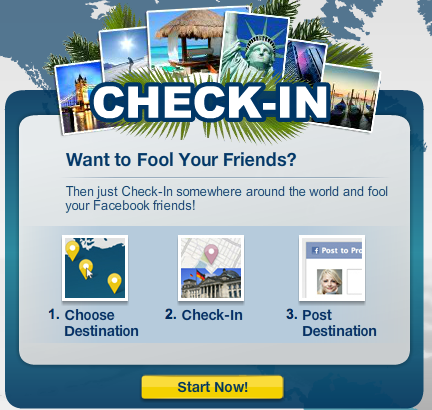 The App places a clever twist on checking in, allowing users to check in anywhere in the world. The twist is that people don’t need to leave the comfort of their beds to do this. The App is clearly catching on, with over 20,000 monthly users. Hotwire has been at the forefront of many digital media trends. They are in the process of increasing their Facebook penetration through 2 separate Apps focusing on Cruise lines and Travel news. Both Apps aim to provide can’t miss news and deals for the prepared traveller. Given the company’s track record, we look forward to watching them continue to invest in Facebook. One of the first travel companies to ever integrate with Facebook, Travelocity has made an effort to be at the forefront of Facebook implementation and innovation. With over 132,000 fans, the company has done an excellent job cultivating a Fan Base. They recently came out with two great new Apps. The first allows users to turn themselves into the Roaming Gnome by uploading a picture onto the Gnomes face. The second provides users a map of available deals, helping users find the best vacation destination. 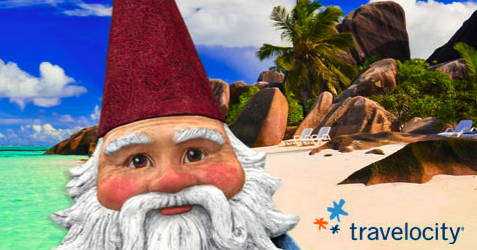 Given Travelocity, and the Gnome’s popularity, the Apps seem primed for success. While CheapOair does not have the user base that many of its other competitors have, CheapOair has one of the most active social media teams. The company has created a very good community on their Fan Page, as well as an App in which customers can search for online deals, and are constantly interacting with members of the CheapOair team. These members ask questions, provide feedback, and answer prompts from the team. TravelZoo has embraced social media as one of their primary marketing tools, placing an emphasis on building a large customer base on Facebook. The company has done this through interacting with fans and publishing daily deals on their Fan Page. 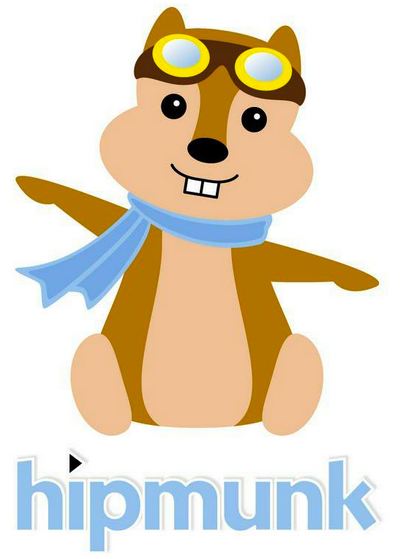 HipMunk is the newest of the travel sites, seeking to offer a simpler and quicker way to book flights and hotels. As the new kid on the block, they were faced with the challenge of getting their name out. They turned to Facebook as their channel of choice, and in 2011 launched a brief but successful campaign called “HipMunk Me.” The campaign gave a personalized HipMunk drawing to the first 500 users that posted on their site and listed their favorite destination and activity. The young start up, already with 20,000 fans, and an App that connects their website to the Open Graph, publishing users travel plans to their friends News Feeds, is sure to catch on. Which is your favorite travel site? Should they be doing more to reach you on Facebook? Let us know in the comments!